Brentwood Truck Wreck Lawyers and Attorneys | Law Office of George R Fusner Jr.
Truck companies and drivers are required to abide by strict federal and local laws. Federal hours of service laws, weight limit restrictions, maintenance requirements, and driver certification standards are just a few of the laws that truck companies must follow. According to Logistics Management, the trucking industry made over $700 billion in 2014 alone. The trucking industry is big business and it has the revenues to show it. Yet, according to the Insurance Institute for Highway Safety, 3,986 people died in truck wrecks in 2016 alone. If any other industry, such as the airline industry, saw this many fatalities, there would be a public outcry. Yet, truck wrecks often get lumped in with car wrecks, meaning that victims and families may face unique challenges when making truck wreck claims, but they may not always have the resources to get the justice they deserve. 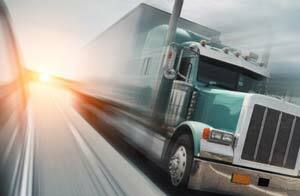 Truck accident claims are more complex than car accident claims. Truck companies must abide by stricter regulations and laws. There may be many stakeholders involved in a truck accident: from the shipping company to the truck’s insurance company. Truck companies may take out high insurance policies, with some policies being as over $1 million dollars. 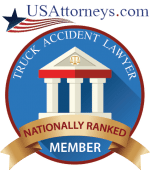 If you or a loved one has been hurt in a truck accident, consider speaking to the truck wreck attorneys at the Law Office of George R. Fusner, Jr. in Brentwood, Tennessee. Our firm works with victims and families who have been affected by the negligence or neglect of a truck company or driver. Fatigued driving. Truck drivers are required to abide by federal hours of service laws. Drivers must limit their shifts to 11 hours. After this shift, drivers are required to get rest. Driving while fatigued can be incredibly dangerous. Some researchers have estimated that fatigued driving can be just as dangerous as drunk driving. In most car wreck cases, proving fatigued driving can be difficult. However, with truck accident cases, lawyers have access to a truck driver’s log books and a truck driver’s shift and break records. Even if a truck driver falsified a log book, your truck wreck lawyer may be able to acquire shipping records to determine whether the driver violated hours of service laws. Drugged or drunk driving. We expect truck drivers to follow the law. Unfortunately, some drivers may get behind the wheel while under the influence. Sometimes drivers may be on medication that could impact their ability to remain focused behind the wheel. While drivers are required to undergo regular medical exams, sometimes drivers may get on new medication and not inform their companies. 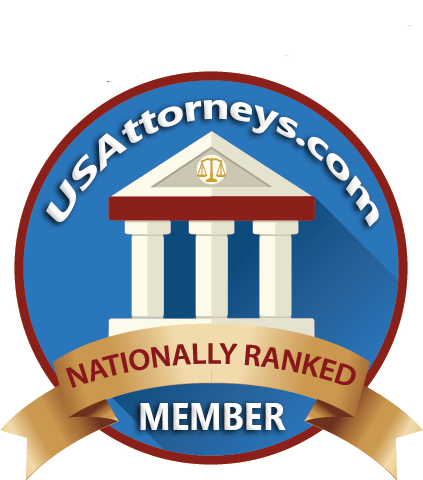 A qualified truck wreck attorney like the Law Office of George R. Fusner, Jr. in Brentwood, Tennessee can review your driver’s medical history and record to determine whether drugs may have been a factor in your crash. Improper maintenance. Truck companies are required to regularly maintain their vehicles. When truck companies cut corners to protect their bottom lines, accidents can happen. Tires can blow, brakes can fail, and other equipment can become problematic and lead to accidents. Overweighed vehicles. Truck companies are required to abide by weight restrictions. When these restrictions are not obeyed, trucks can be at a greater risk of rolling over. 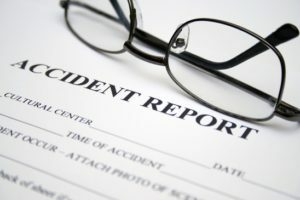 If you or a loved one was injured in a truck accident in Brentwood, Tennessee, consider reaching out to the truck wreck attorneys at the Law Office of George R. Fusner, Jr. Our firm can review the factors leading up to your accident, investigate your claim, and fight to hold negligent parties accountable. Truck accident claims can be more complex than car wreck claims because many stakeholders may be involved. Truck drivers, truck companies, truck owners, and shipping companies, as well as their insurers may all play a role in your claim. Contact the Law Office of George R. Fusner, Jr. today to learn more about whether you may be entitled to receive compensation for your medical expenses, lost wages, and pain and suffering. When the truck industry cuts corners, innocent people often suffer. Passenger vehicle drivers and passengers are more at risk of being hurt in a truck accident. When a truck driver or company makes a choses to violate the law and rules, other road users are often the ones who get hurt. Truck companies may have teams of lawyers on their side. Insurance companies may have adjusters who are skilled at saving the insurance company money. This is why you need a qualified truck accident attorney on your side. 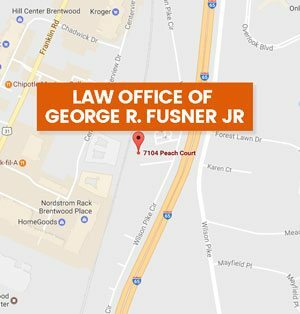 The Law Office of George R. Fusner, Jr. is a truck wreck lawyer in Brentwood, Tennessee who works with victims and families to help them seek justice. Don’t suffer in silence. Fight back. Contact our firm today.